Business Segments - Shandong Heavy Industry Group Co., Ltd. The powertrain system businesssegment’s industrial layout is a complete industrial segment. 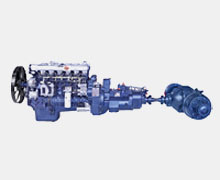 WeichaiYangzhou Diesel Engine Co., Ltd., the Chongqing production base, and MoteursBaudouin are just a few of the components that make up this segment. Shandong Heavy Industry Group has integrated outstanding domestic construction machinery resources, and forming production bases in Jining, Linyi, Jinan and Tai’an in Shandong province, and Fushun (Liaoning), Wuhan (Hubei), Xiamen (Fujian). Its products include: earthmoving machinery, compacting machinery, pavement machinery, concrete machinery, excavators, construction cranes, forklifts, and their key components. 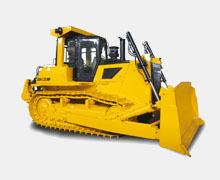 This business segment mainly involves bulldozers and pavement machinery from Shantui Construction Machinery Co., Ltd., concrete machinery from Wuhan Branch, Shantui Manitowoc Cranes, Fushun fire trucks, and excavators from Strong Construction Machinery Co., Ltd., Shantui machinery, Linde (China) forklifts and Kion forklifts. 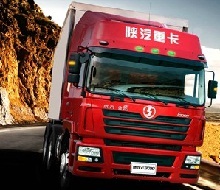 ShandongHeavy Industry Group possesses thebest resources for outstanding commercial vehicles production in theindustry. Of different series and types andwith multiple functions, the products can satisfy differentcustomer’s needs. 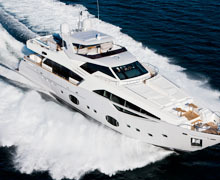 Ferretti Company is the world’s biggest luxury yacht manufacturer, and has the world’s advanced R&D center, industrial design team and the worlds most advanced manufacturing system. There are eight luxury yacht brands that fall under this company, four of them: Ferretti, Riva, Pershing and Bertram, are ranked among the world’s top ten brands. Currently Ferreti owns eight shipyards, seven of them in Italy, and one in Miami, USA, with more than 2,000 employees in total. In 2008 the sales quota surpassed 900 million euros, and 500 million euros in 2010. The company has established an online sales system with more than 1,000 service centers and spare parts suppliers in 86 countries. 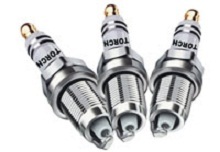 Shandong Heavy Industry Group integrated the best core components for commercial vehicles and construction machinery in the industry, with their key technology being one of the best in the world. The production capacity of Fast heavy-duty transmission has reached 1 million units per year, with the production and sales volume being the highest in the World; for Hande Axle, the capacity is 500,000 units per year, with the company being the largest exporter in China; Shantui Construction Machinery is a leading manufacturer of caterpillar track assemblies, torque converters, transmissions and structural parts in China; Linde Hydraulics leads the world in high-pressure and hydrostatic technologies and system resolutions.